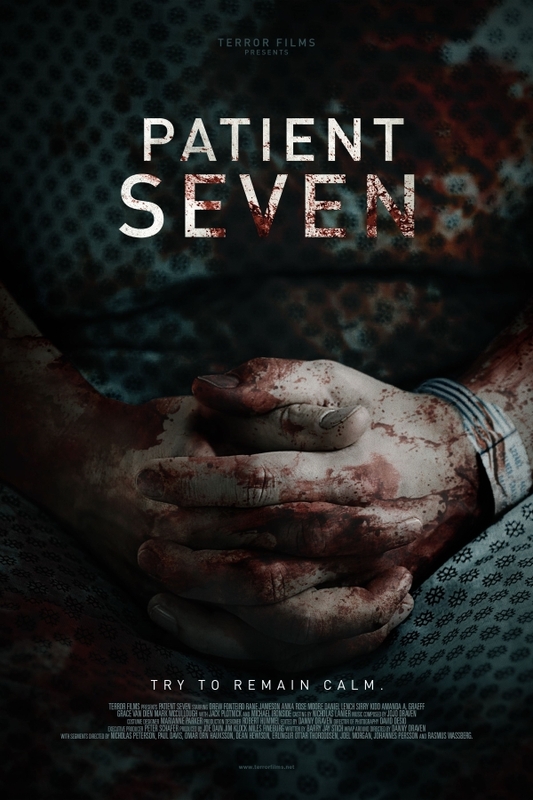 On October 11th 2016, Terror Films will be releasing their highly anticipated Horror Anthology, PATIENT SEVEN. The film contains a wrap-around story, written by Barry Jay Stitch (The Chosen) and directed by genre veteran Danny Draven (Ghost Month, Reel Evil). The wraparound intertwines 7 award winning, short films by filmmakers from around the globe that include: Nicholas Peterson, Paul Davis, Ómar Örn Hauksson, Dean Hewison, Erlingur Thoroddsen, Joel Morgan, Johannes Persson and Rasmus Wassberg. The cast includes: Amy Smart (Just Friends, The Single Mom’s Club), Alfie Allen (Game of Thrones, John Wick), and Doug Jones (Legion, Crimson Peak) among others. Now, more of the cast can be seen in the “I Banish Thee” clip, which is available here!